Slice the aubergines lengthways, about 3mm thick and lay flat on a clean work surface or chopping board. Season fairly generously with salt and set aside for about 20 minutes (this will draw a lot of moisture out of the aubergines, meaning they will soak up less oil). Meanwhile take a grill plate and heat the plate to a high temperature. Taking a CLEAN tea towel, dab the aubergine slices to remove the excess moisture. 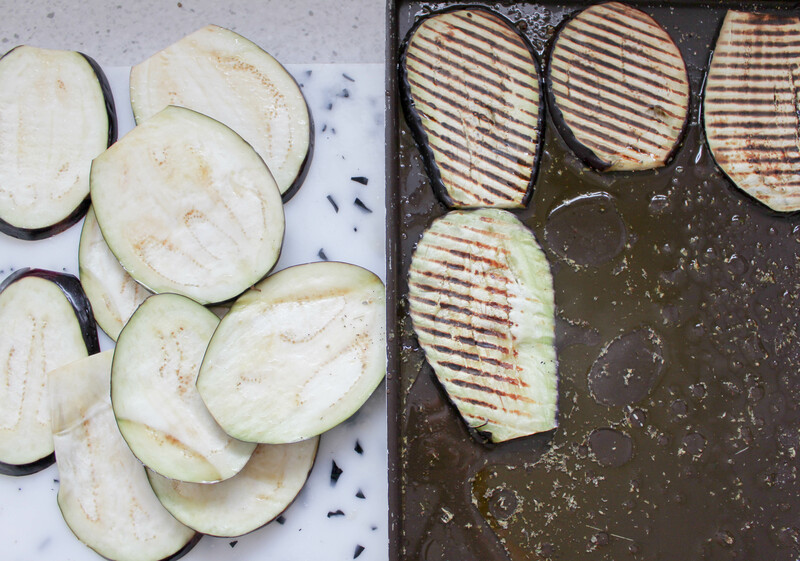 Cook the aubergine slices for about a minute on each side until you see charred lines appear. Take a large baking tray and drizzle with a good glug of olive oil, a generous glug of white balsamic vinegar, a pinch or two of oregano and some salt and pepper. Give the baking tray a shake to roughly mix the vinaigrette. 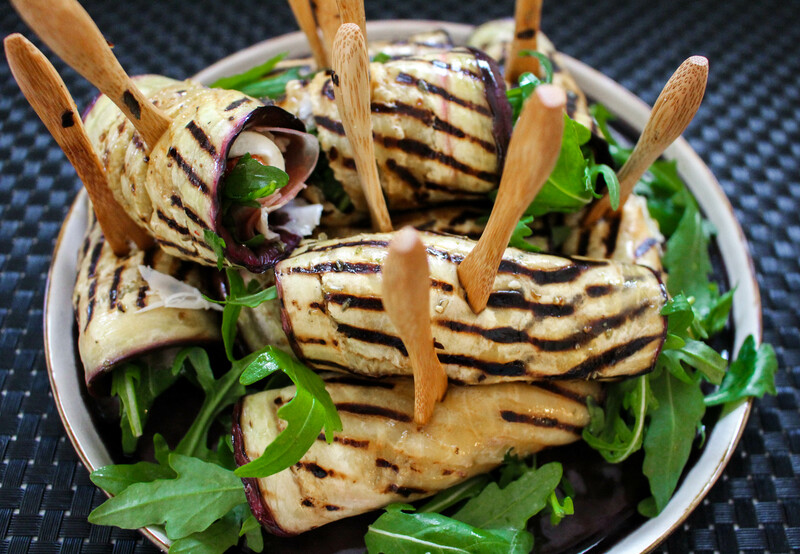 As the aubergine slices finish cooking, transfer them to the marinade on the baking tray. Make sure both sides of the aubergine soak up some of the dressing before setting aside on the baking tray in a pile. Lay the remaining ingredients out on your work surface. 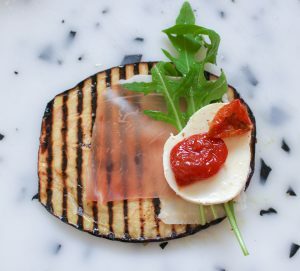 Assemble the involtini by taking a slice of aubergine, a slice of Parmesan, then prosciutto, some rocket leaves, a slice of mozzarella and two sun-dried tomatoes. Roll the involtini from the loaded end up to the empty end and then hold in place with a toothpick. 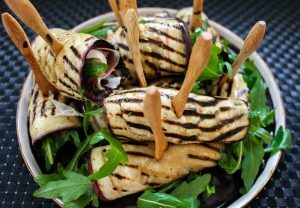 Serve on a platter, piled high with some extra rocket leaves to garnish.